Peanut butter and jam. A classic combination of salty and sweet, crunchy and smooth, fruit and nut. A mixture which shouldn’t really work, but somehow really does. Jammie Dodgers. 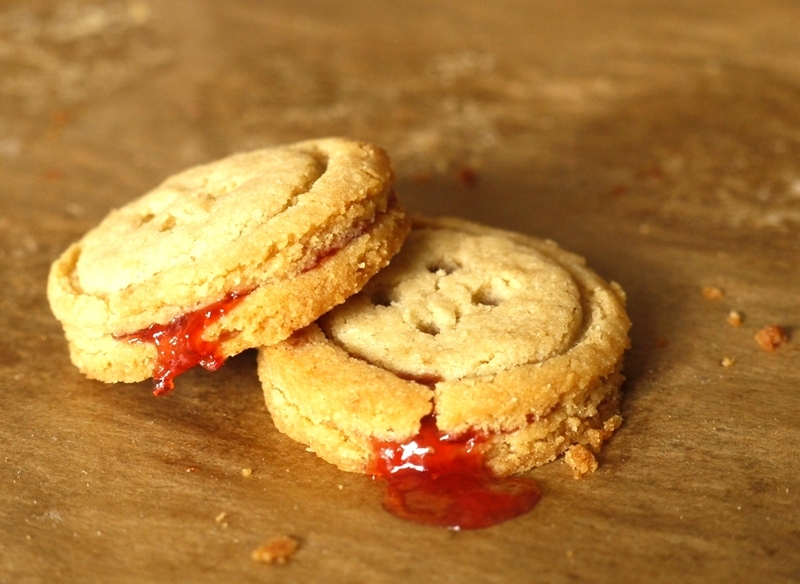 An unmistakeably British biscuit traditionally baked with shortbread and raspberry filling, made all the better by substituting peanut butter and strawberry jam. Baking and sewing. Not two hobbies you’d immediately associate with each other, but the source of this inspired series of posts. Today I’m delighted to be guest blogging over on Laura’s lovely Craftstorming blog as part of her Sew Yummy series. To find out more and get the recipe for these Peanut Butter and Jam(mie) Dodgers, head over there now. Love the buttony look! And they look lovely and light too. Just love these – so cute [and no doubt delicious]. SO CUTE. And right up my alley, as I eat peanut butter and jelly for lunch pretty much every day. Euan – they really are very light – crisp and delicious on the first day and slightly chewier if you leave them overnight. Glamorous Glutton – hope you enjoy making them as much as I did. Erin – wow, that’s PB&J dedication! 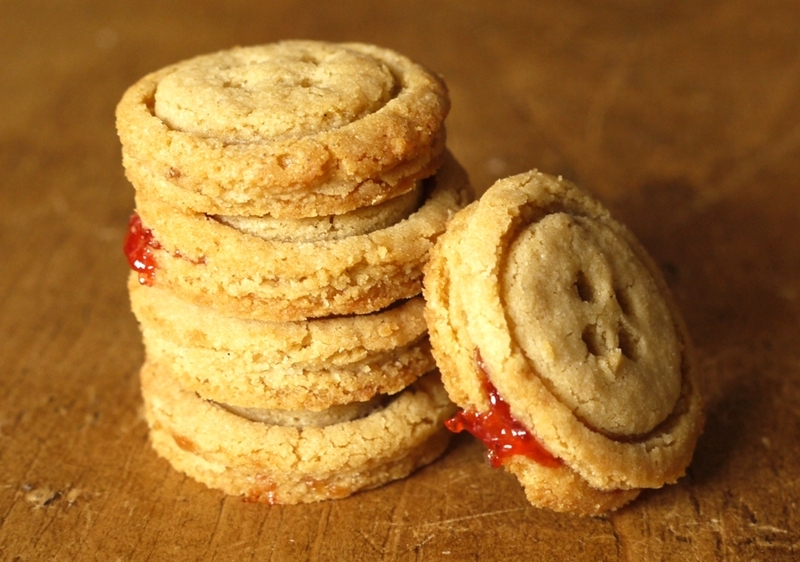 Bubbly Baker – ooh, you have to try Jammie Dodgers – they’re a British classic! Adorable! Love the combo of peanut butter and jelly. I love the button design. Fantastic. What a great idea. The buttons are so cute and I, like you, definitely inherited the baking gene rather than the sewing gene. 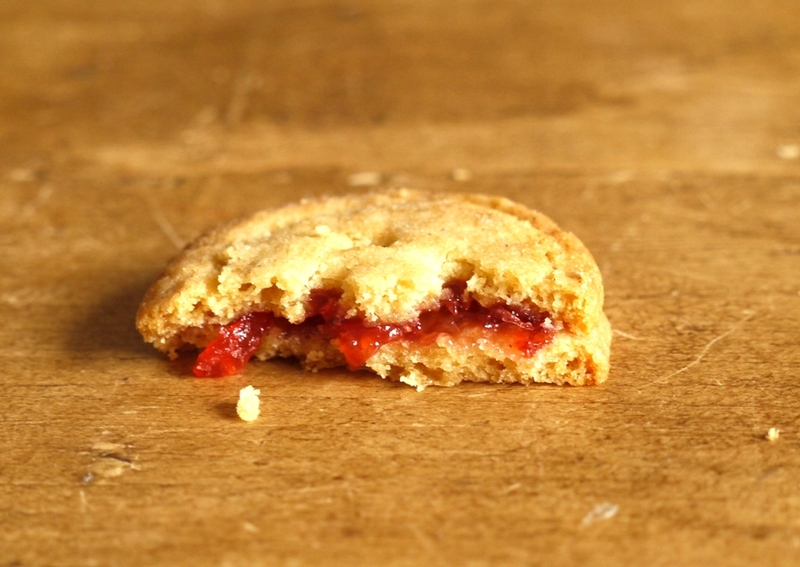 I have made jammy dodgers before but have always put the jam between the two layers after baking. I love your idea of baking the jam too, and quite fancy trying the PBJ combination, even though I have always been turned off by the idea of it in sandwich form – “crazy Amerucans!”. Thank you for introducing me to a new blog too – lots of creative inspiration. I don’t usually like PB&Js and I don’t think I’ve had one for about at least 12 years. But these look SO delicious, and so cute to boot. Love them! these are absolutely beautiful! I love the flavours and the little button design! Sarah – it’s a classic for a reason! The Vagabond Baker – thank you. Lucy – thanks so much. 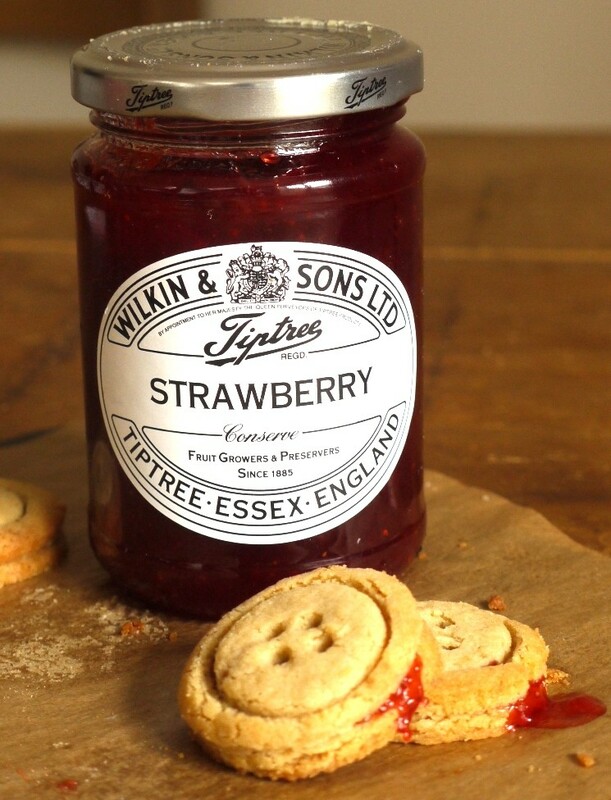 Amy – I think I got the baking the jam in trick from Hugh F-W, although when I looked online I couldn’t find evidence of this! It definitely glues them together slightly better and makes for an all round more sticky middle. Amy – I never eat PB&J as a sandwich but in dessert form? I’m in. I love the buttons! What a great idea! Silver Screenings – thank you! 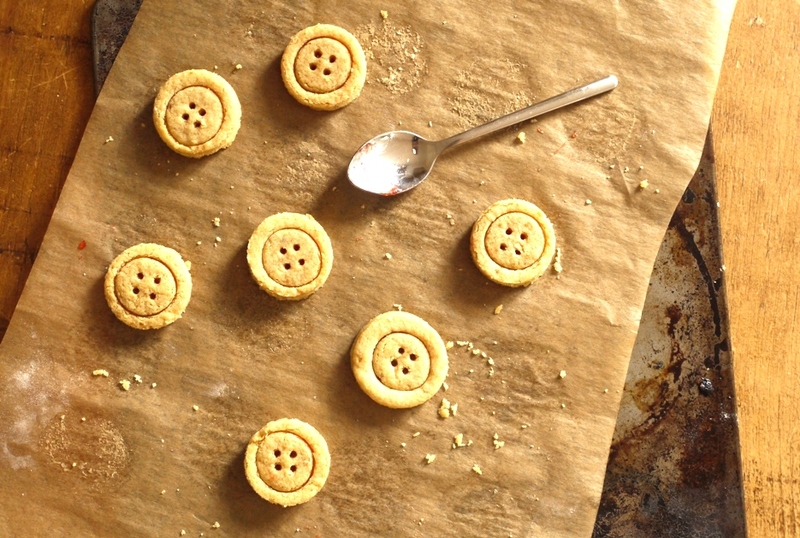 My Kitchen Stories – ah, you’re too kind 🙂 If you’re pushed for time, these would be just as delicious baked as normal biscuits without the buttonholes. Just adore your Jammie Dodgers! In a past lifetime I collected buttons and am still rather fond of the little pieces of history and fashion. A most scrumptious post! They are as cute as a button! (sorry… couldn’t help myself). I’ve just got to try this!